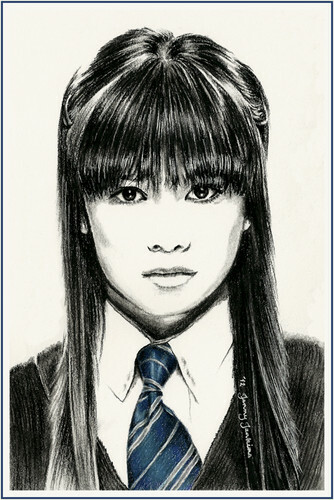 Harry Potter cast drawings bởi Jenny Jenkins. Charcoal/Colored Pencil drawings of characters from the Harry Potter film series. HD Wallpaper and background images in the Harry Potter club tagged: draco malfoy ginny weasley ron weasley cho chang neville longbottom tom felton bonnie wright rupert grint katie leung matthew lewis. This Harry Potter fan art might contain bộ đồ làm việc, phù hợp với kinh doanh, and phù hợp với doanh nghiệp.